Source Design create and deliver user-focused websites, e-commerce solutions, email marketing and search engine optimisation services for businesses, associations, clubs and trade bodies in the UK. Our work always delivers business benefits and measurable ongoing results to your organisation. 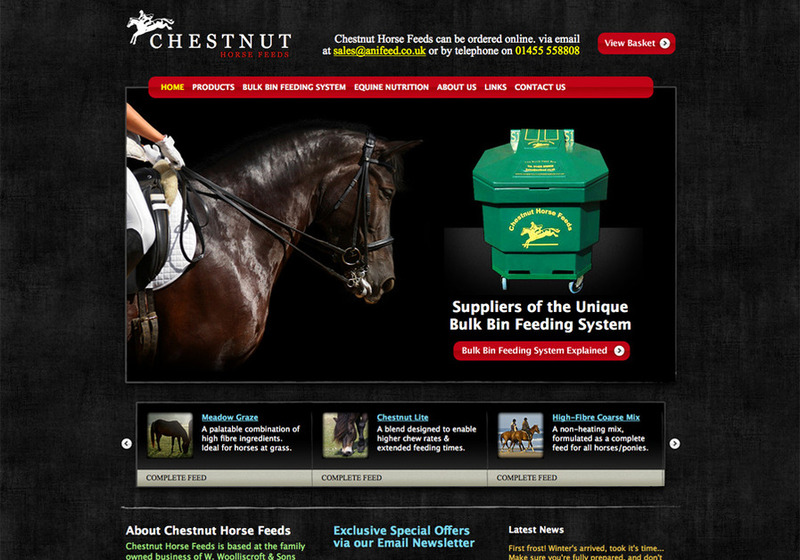 This is a screenshot from a recent website design for Chestnut Horse Feeds.